Arrangements for 3rd T20I vs New Zealand complete, but what about rain? 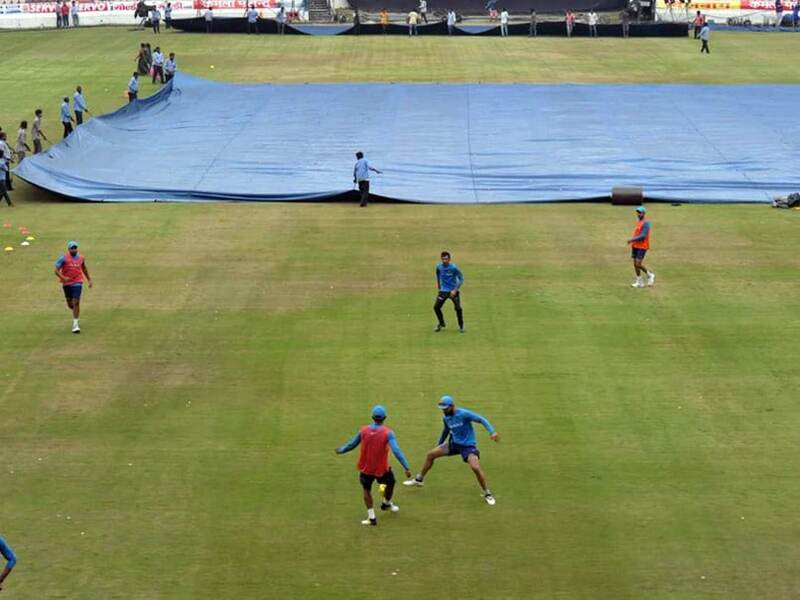 Thiruvananthapuram, Nov 5: All preparations for the Twenty20 International (T20I) against New Zealand to be held here on Tuesday complete, but what about the rain? The meteorological office here has predicted that the weather will be generally cloudy with a few spells of rain or thundershowers starting from Sunday till Wednesday. But Jayesh George, secretary of the Kerala Cricket Association , told IANS that the saving grace is that this state of the art ICC and FIFA compliant stadium located in the city has excellent drainage facilities. Tomorrow afternoon a few Indian players including captain Virat Kohli will take part in a programme of the Kerala government, 'Say yes to Cricket, No to Drugs', which will be inaugurated by Chief Minister Pinarayi Vijayan.